Xiaomi has partnered with Reliance Jio to give the Biggest Jio offer ever to the Redmi Note 5 and Note 5 Pro users to its customers. 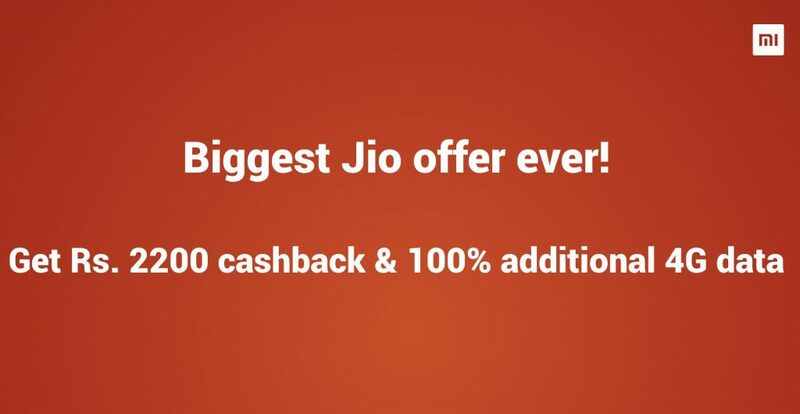 Jio offer gives the Redmi Note 5 and Note 5 Pro users Rs. 2200 cashback in the form of vouchers and they also get 100% additional 4G data on their existing plans. 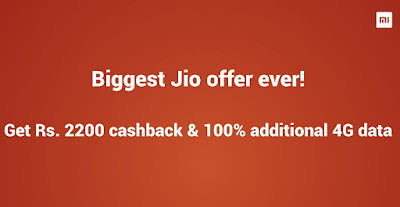 Cashback” shall mean Rs 2200/-, which shall be credited in the form of 44 cashback vouchers of Rs 50/- each, in the MyJio App of an Eligible Subscriber upon performing Recharge on the Eligible Device. “Eligible Device” shall mean all variants of Xiaomi Redmi Note 5 & Redmi Note 5 Pro device purchased on or after 22nd February, 2018 and which has been activated on the RJIO network for the first time, by an Eligible Subscriber, by performing Recharge. The offer is applicable only on the Indian version of Eligible Device. “Cashback Entitlement Period” shall mean the period between 22nd February, 2018 and 31st May, 2022. Double data is available on all Jio plans on and above Rs. 198. Xiaomi Redmi Note 5 and Redmi Note 5 Pro smartphones will go on sale starting from February 22nd exclusively on Flipkart.